La Spira pendant is bewitching. 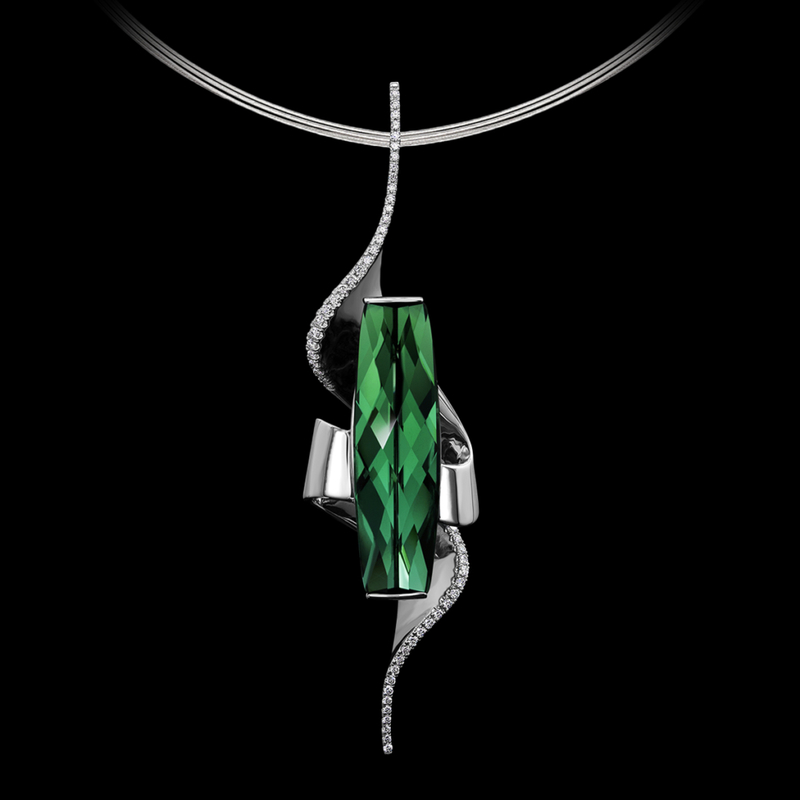 Harmonious curves of white gold embrace a stunning 24.19 carat green tourmaline, cut by Stephen Avery. Diamond pavé totaling 0.54 carats complete the design with a pleasing sparkle.